Y'all know I am a total cookie monster. Doesn't matter if it's fresh out of the oven, or 5 days old, chocolate chip, or oatmeal, I love me some cookies. 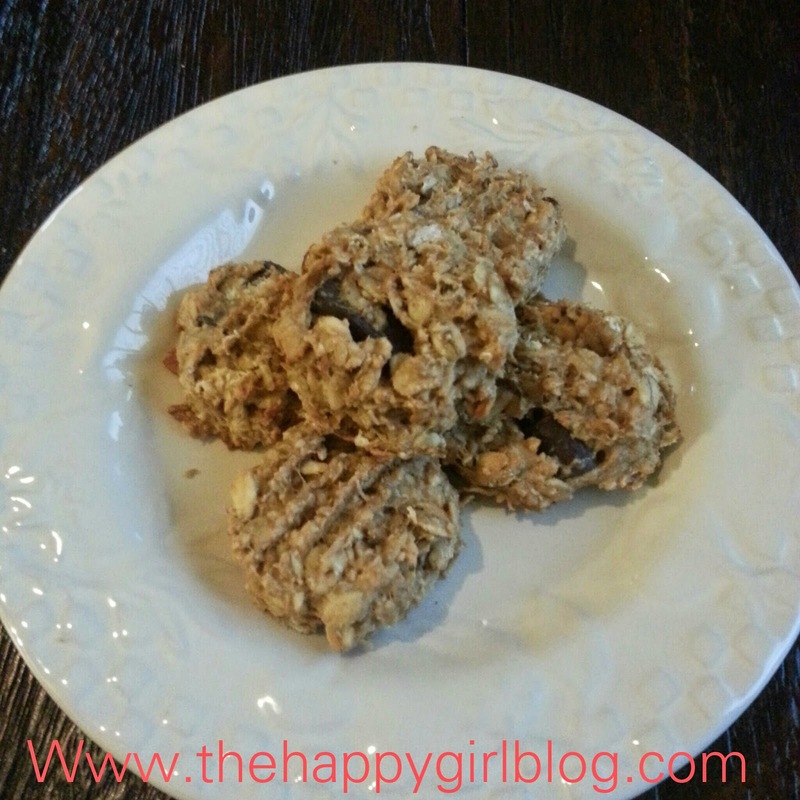 Even when I am satisfying my sweet tooth in a healthy way, I still want cookies. Or cupcakes, but that's a whole 'nother post. Basically, give me a baked good, and I'm a happy girl. I digress. Back to those healthy cookies. Heat oven to 350F. Spray cookie sheets with non-stick spray. In a stand mixer, mash bananas with peanut butter, apple sauce and vanilla until creamy. Add in oats until combined. Add in chocolate chips. Use a small cookie scoop to place 1 inch balls of dough on your cookie sheets. Smash down slightly with a fork. Bake for 15 minutes, and immediately transfer to a rack or onto a plate to cool. I was able to make 50 small cookies, at 65 calories each. And just try not eating the dough, it was delicious before even being baked! Yum! I feel ya...I have a major sweet tooth, too! I keep dark chocolate around for that reason...after all, a little bit of it is healthy, right? ?